Plan to create, learn new things, and have fun! Find out about special promotions and discounts! Chosen Best Florist in The Macomb Daily's Best of the Best 2017, 2014, 2011, 2010, and 2009 Reader's Choice Awards. Thank you! 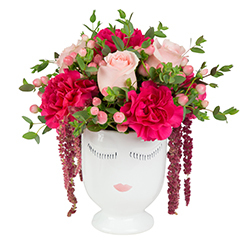 We are delighted to meet your daily floral needs with distinction. Named Best Florist in the Michigan Meetings + Events Magazine Reader's Choice Best of 2016 Awards! We are grateful for and honored by their recognition and will continue our dedication to making your special event flowers the best. Voted Best of Detroit Florist with Multiple Locations by Hour Detroit readers 2018, 2017, 2016, 2015, & 2014. 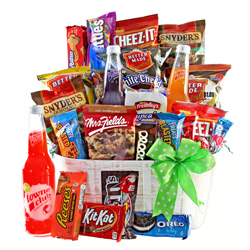 Welcome to Viviano.com, the online home of Viviano's! Viviano Flower Shop, Inc. is a Michigan florist with five local Metro Detroit area retail locations to serve you: Saint Clair Shores, Shelby Township, Chesterfield Township, Grosse Pointe Woods, and Rochester. We also provide flower and plant gifts for the floral department of Vince & Joe's Gourmet Market in Shelby Twp., Viviano Flower Market. We are a family-owned flower shop, providing beautiful fresh flowers, plants, and gifts complemented by outstanding service and value since 1937. Viviano Flower Shop is available to you by telephone at (800) VIVIANO (848-4266), or 24/7 (twenty-four hours a day) through online ordering. 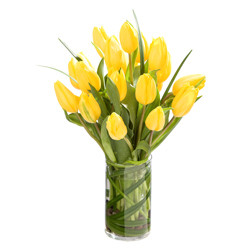 You'll find everyone's favorite flowers and gifts "for all of life's celebrations" here: roses; fresh loose stems and bouquets; gardens and terrariums for home and office; custom silk floral and foliar arrangements; and other thoughtful gift ideas such as candles, angels, music boxes, and crosses. 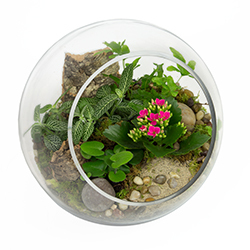 See the Featured Arrangements and Gifts category for the latest designs, specials, and popular items! Do you have a birthday to plan for? Call us and ask for Design manager Doris J. for more information about having a Viviano's-hosted floral design workshop party! Yes, we absolutely have a military discount! At any of our five Michigan stores, show your military I.D. card in-store to receive 10% off your order, saving up to $50 per purchase. Multiple orders for the same event, such as a funeral, count as one purchase. 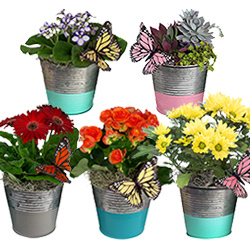 Looking for official Viviano Flower Shop coupons? Sign up here for emails for Viviano's discount codes, news of the latest events and workshops, and other promotions: Email Sign-Up. Your information is safe with us! Visit our stores to browse inspiring collections of Archipelago Botanicals soy candles, fresh flowers and plants, Kay Berry garden stones, jewelry, Gund, Ganz, Yomiko, and Russ Berry stuffed animals, teddy bears, and baby plush toys, sports mugs, delicious Sanders Chocolates, The Naked Bee natural beauty products, Burley Clay Products birdbaths and garden planters, Lead Head Glass fine art upcycled terrariums hand-made with glass and wood from deconstructed historic Detroit houses, balloon bouquets, DaySpring and krisjezak art greeting cards and stationary, and other surprises and delights large and small. Viviano.com is not a GANZ official site and is not affiliated with GANZ. Visit the Upcoming Events page for exciting things to do and see! Enter the current contest for a chance to win prizes! Searching for the perfect expression of love, celebration, or sympathy? 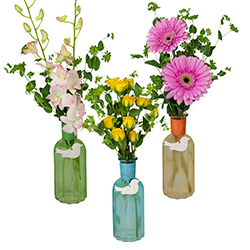 Discover your ideal flower arrangement in our Occasion selection! 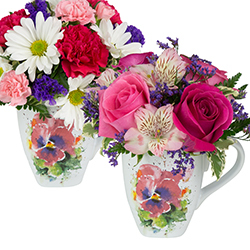 Studies have shown that flowers are the most memorable gift you can give for all of life's celebrations. We have just the right anniversary, birthday, congratulations, get-well, new baby, thank-you, doghouse, and just-because flowers at Viviano's, and eloquent funeral and sympathy flowers and tributes to help you convey feelings that words cannot express. A wide variety of angels, statuary, figurines, fountains, garden stones, rosaries, inspirational plaques, framed art prints, crosses, and other keepsakes is available to personalize your memorial tribute or bereavement condolences. We couldn't possibly show it all on the website; please do visit us to experience it in person! Viviano.com got a new look and better functionality in January 2019, largely based on input from customers like you. Let us know what you think! We love hearing from you. Planning a wedding or special event? Viviano's creates extraordinary wedding flowers, show and event flowers, and prom, dance, and homecoming corsages and boutonnieres. Be sure to view our Wedding gallery and Shows & Events gallery pages, with many amazing examples of our handiwork! Schedule an appointment to meet with one of our professional wedding consultants and view albums of ideas. We love to fulfill your wedding flower dreams, and work with your style and within your budget to make your special day even better than imagined. You can also see our Facebook, Wedding Wire, The Knot, and Yelp pages for recommendations from our brides. Viviano Flower Shop is on Facebook! facebook.com/vivianoflowershop Stop by, see the latest news, and Like us. We'd love to see you there. Do you tweet? Follow http://twitter.com/vivianosflowers for updates and information from your friendly local florist. 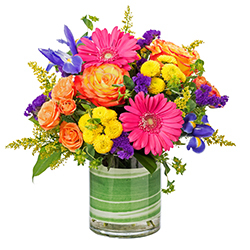 Viviano Flower Shop is a full service Metro Detroit florist offering you same-day flower delivery to the following cities: Algonac, Allen Park, Armada, Auburn Hills, Berkley, Birmingham, Canton, Center Line, Clawson, Clinton Township (Twp. ), Dearborn, Dearborn Heights, Detroit, Eastpointe, Ecorse, Farmington, Fraser, Ferndale, Garden City, Grosse Pointe, Hamtramck, Hazel Park, Highland Park, Inkster, Keego Harbor, Lincoln Park, Livonia, Macomb Township (Twp. ), Madison Heights, Marine City, Marysville, Mount Clemens (Mt. Clemens), New Baltimore, New Haven, Northville, Novi, Oak Park, Pleasant Ridge, Plymouth, Pontiac, Redford, Richmond, River Rouge, Rochester, Romeo, Roseville, Royal Oak, St. Clair Shores, Shelby Township (Twp. ), Southfield, Sterling Heights (Hts., Hgts. ), Troy, Utica, Warren, Waterford, Wayne, and Westland. The top hospitals we deliver to include Beaumont Hospital, Henry Ford Macomb Hospital- Warren (formerly Henry Ford Bi-County), Henry Ford Macomb Hospital (formerly St. Joseph's Medical Center), Mount Clemens Regional Medical Center (now McLaren Medical Center - Macomb), Providence Hospital, St. John, St. John Macomb, and St. John Oakland, among others. We develop and maintain personal relationships with all 30+ flower growers, both local and global, who directly supply us. We're proud of their many certifications for fair labor practices, environmental and community consciousness, and sustainability such as Veriflora, MPS, FLP (Flower Label Program), and FlorEcuador. P.S. Did you know? We recycle - on your next visit, bring the box your flowers were delivered in to receive 2 FREE roses!